New York: Knopf-Borzoi Books, 1977. 1st Edition 1st Printing. Hardcover. As New/As New. 8vo - over 7¾ - 9¾" tall. The novel opens with a marriage going bad, a trip to the bank for a trip, then she is grabbed by a stranger in a black jacket. 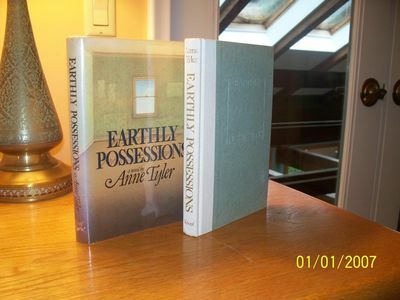 Book and unclipped($7.95) jacket in as new condition, which has been inscribed on the title page "For..... ......, with best wishes, Anne Tyler, (who by the way has very good penmanship). First edition, first printing of her some say best novel. A wonderful Tyler collectible in flawless condition. Mylar protected.